The Trimerus delphinocephalus trilobite of the Silurian Period. This first image is from a 1910 book. 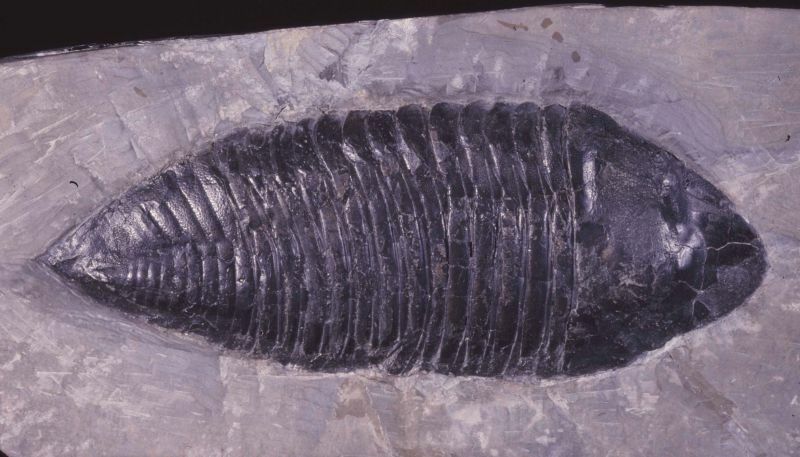 The picture is to give you an idea of what the entire trilobite looked like. 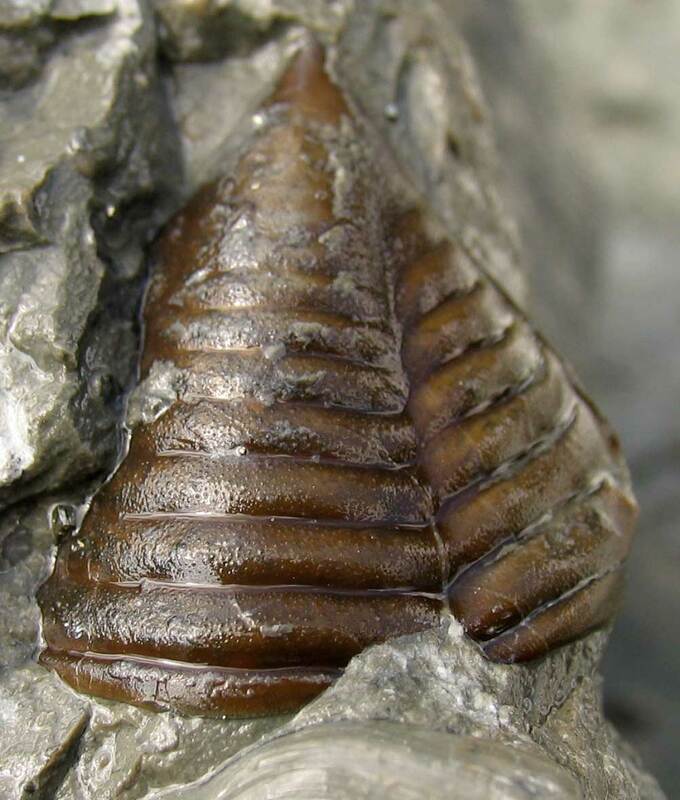 Today's highlighted fossil is just a fragment of one of these trilobites (the rear section or pygidium). This is a beautiful fossil fragment just recently found in the Waldron Shale of Clark County, Indiana. 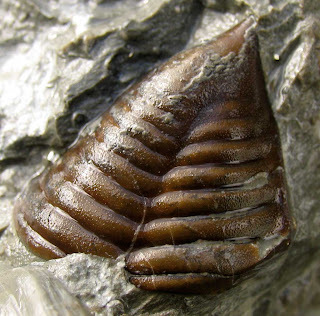 Select the image to see a larger version and note the detail still left on the fossilized outer shell. It has such a beautiful color. Preservation is such that one can run their finger over the shell and feel the bump/segment details. The fossil needs a little work with an engraver and sand blasting of little bits of matrix. See an intact one on the Dry Dredgers web site found in New York. 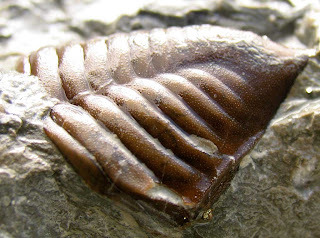 Thanks to Kenny for letting me photograph this fossil.